We had a terrific time at the joint July Covekeeper meeting with Lake Wylie Covekeepers hosting Lake Norman and Mountain Island Lake Covekeepers at Riverside Marina in Belmont, NC. 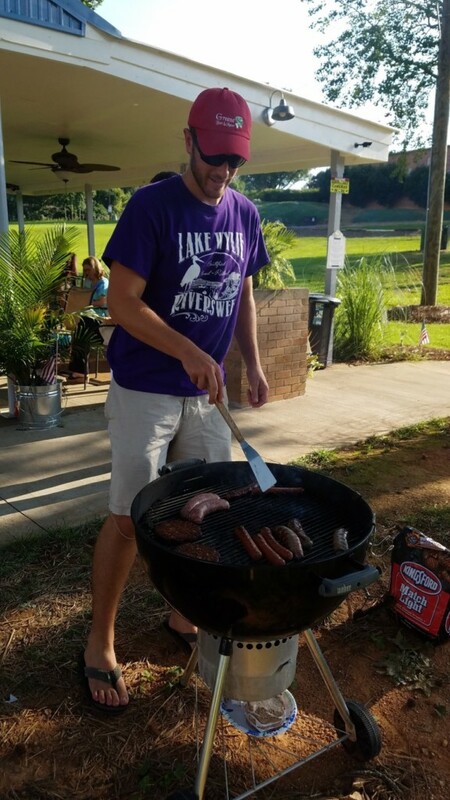 We had Dan Mullane, Lakekeeper for Lake Wylie Covekeepers, at the grill cooking up hamburgers, sausages, hot dogs, and veggie burgers. Everybody chipped in sides and desserts for a delicious outdoor meal! Dan grilling. He makes it look easy. After announcement and action items were discussed, and plates were cleared of food, we made our way to the Muddy River Distillery for a tour. We all received shot glasses for the six tastings of rum and moonshine we had during the tour, and to take with us for future tours. The award-winning owners, Robbie and Caroline were wonderful hosts as they explained all the ups and downs of owning a local distillery. The liquor was top-notch and we all had a wonderful time learning about how it was made and how we could get more! Covekeepers are volunteers who monitor the Catawba-Wateree River Basin’s major lakes and investigate pollution near those lakes. 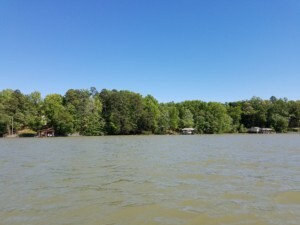 The Lake Norman, Mountain Island Lake, and Lake Wylie Covekeepers meet regularly to discuss specific issues, share updates, and learn from guest speakers. All Covekeeper meetings are open to the public. 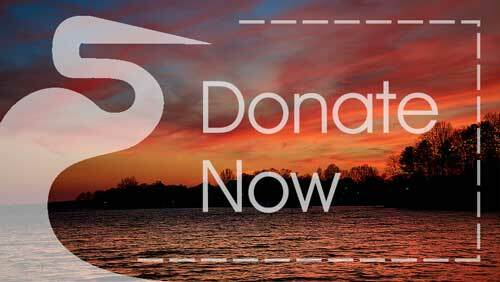 If you’re interested in learning more, contact our Volunteer and Outreach Coordinator, Hillary Zorman at hillary@catawbariverkeeper.org or 704-679-9494. 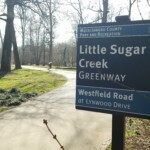 If you’d like to attend a meeting, check out the schedules for Lake Norman*, Mountain Island Lake*, and Lake Wylie Covekeeper meetings here. 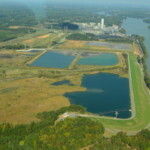 *Lake Norman and Mountain Island Lake Covekeepers do not meet in summer months. Meetings will resume in September.